The Transportation Safety and Advisory Commission reviews transportation (motor vehicle, bicycles, pedestrians, etc.) 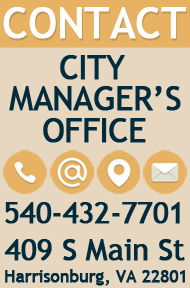 safety matters that are submitted to them either by citizens or by city staff and provides recommendations to the City on how to address the problem. Some issues reviewed have included: locations where multiple crashes occurred, a significant accident has occurred or concern that there may be a future accident; complaints about poor sight distance at an intersection; evaluation of the location of a new crosswalk before installation; or proposed changes in traffic patterns to improve safety. Description of Transportation Safety and Advisory Commission in City Code Section 13-4-1 through 13-4-7. Any member of the commission. More information regarding the Bicycle and Pedestrian Subcommittee of this commission. 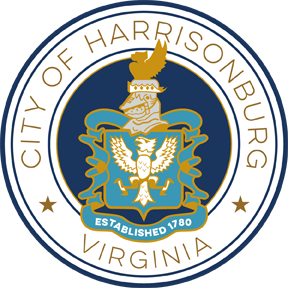 Transportation Safety and Advisory Commission meetings are scheduled for the second Wednesday of even months (every other month) at 8:30am, and are held at City Hall, 409 South Main Street, Room 011, Harrisonburg, VA 22801. Meetings are always open to the public and citizens are encouraged to attend.